The co-ordinates in the charts are for M96. 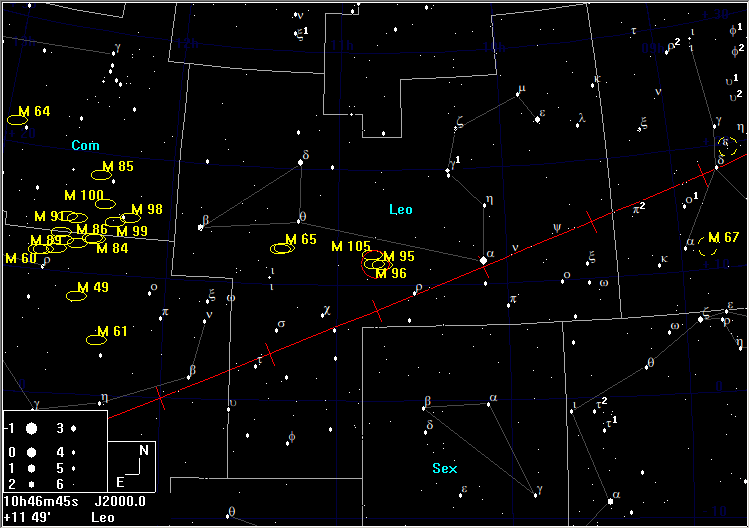 The galaxies are 4° to the NE of ρ Leo. 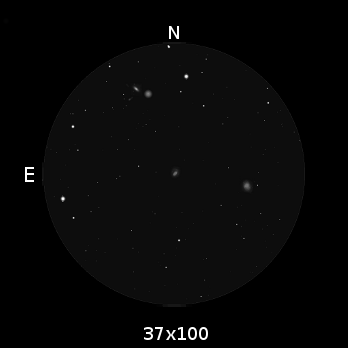 This is another Leo galaxy trio (the other being the M65/66 & NGC 3628 group) that is neatly framed in the field of big binoculars. 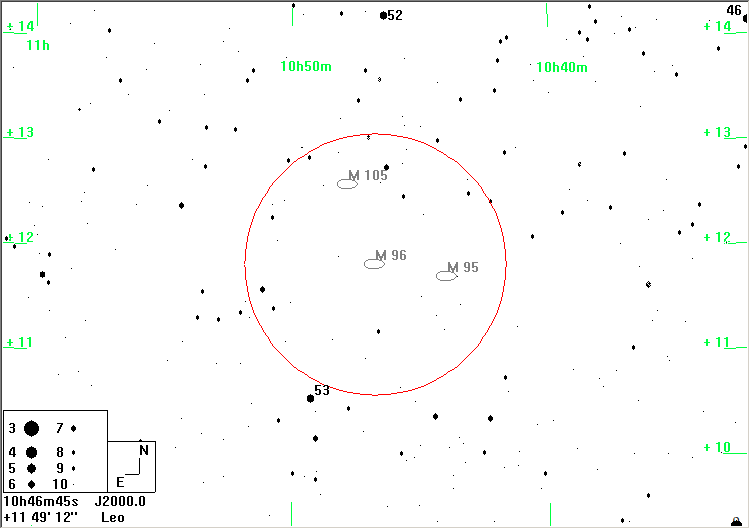 The two companion galaxies to M105 (NGC 3371 and NGC 3373) are tricky, but possible, bringing the total in one field to 5 galaxies.